Hi, I’m interested in TOSHIBA Genuine Laptop Charger. Bluetech Computers 021 948 8230. Please contact me. Thanks! 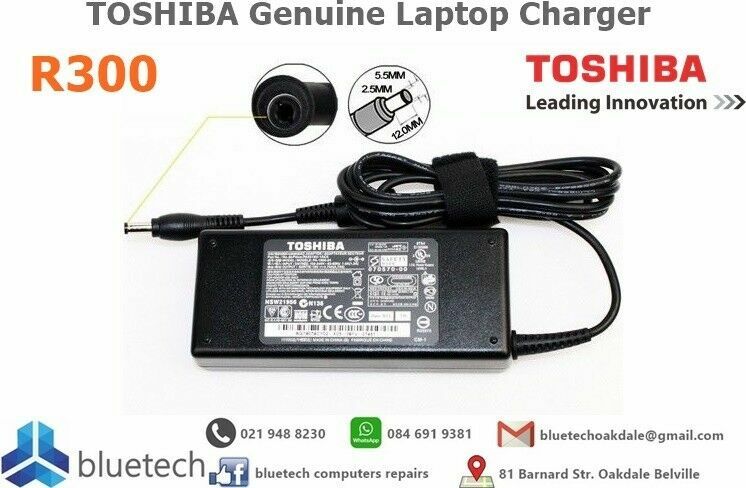 Toshiba Genuine Original 90 Watt AC adapter specially designed to meet the power needs of your Toshiba notebook computer. This 90 Watts power AC adapter / charger enables you to power your notebook / laptop and charge battery, at home, at your home office, at work place or when on the move. Toshiba Satellite C660, Battery only last 30 minutes and One Usb port not functioning.